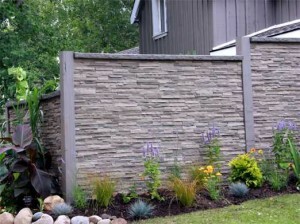 Choose from our bold Rock-Face panels (available in 6 colors) or our Drystack and Ledgestone stacked stone profiles, available in 6 designer colors. NextStone™ panels are designed with an interlocking tongue and groove and ship lap edges that hide all mechanical fasteners so that no caulk or paint is necessary. 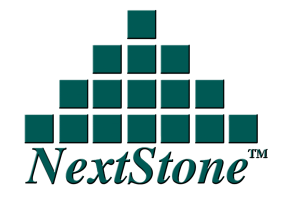 Applications for NextStone™ stone veneers include exterior accents, residential home siding, metal building facades, wainscoting, deck skirting and posts, column wraps, fireplace chases, fence pillars, monument signs, theater sets, exterior wall covering and more. 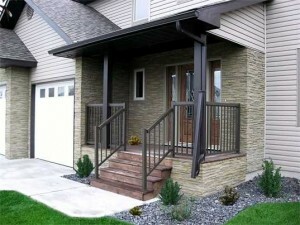 Builders everywhere are discovering that NextStone™ provides them with a cost-effective faux stone alternative to cast or real stone that gives their projects a realistic stone siding look, reduces construction time, and provides a savings on material and labor without a mason.